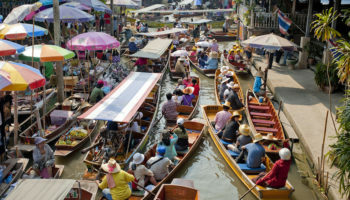 If you only had the chance to visit one place in Thailand, you would want it to be the capital city of Bangkok. For your first night in the city, dive right into the culture and spend your time in the Rattanokosin district. 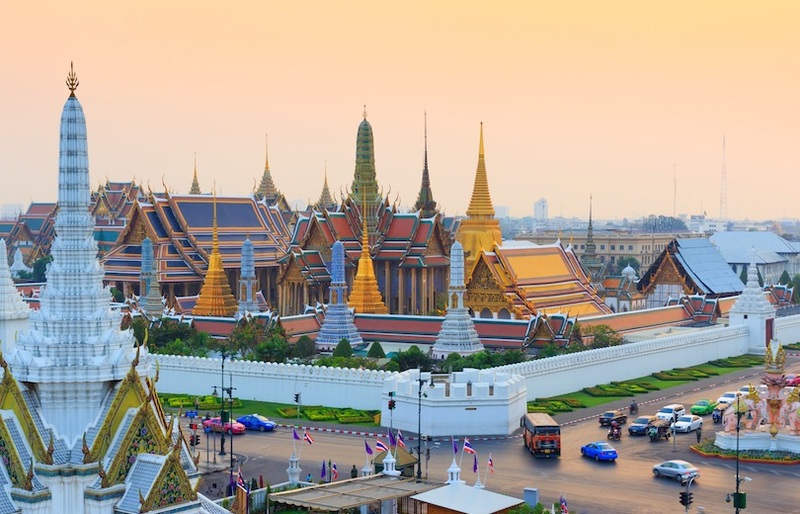 This is where most of the world-famous landmarks are concentrated, giving you the chance to see the Grand Palace, once the residence of the Thai King, as well as the Temple of the Emerald Buddha, or Wat Phra Kaew. You could fill your day with more sightseeing and visit attractions like Wat Pho, the largest temple in Bangkok, the Phra Palace and the National Museum. 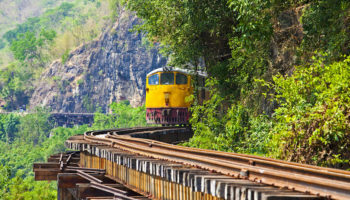 Thailand played a significant role in World War II, and the city of Kanchanaburi served as the beginning of the Japanese Death Railway that led up to Burma and was constructed by prisoners of war. 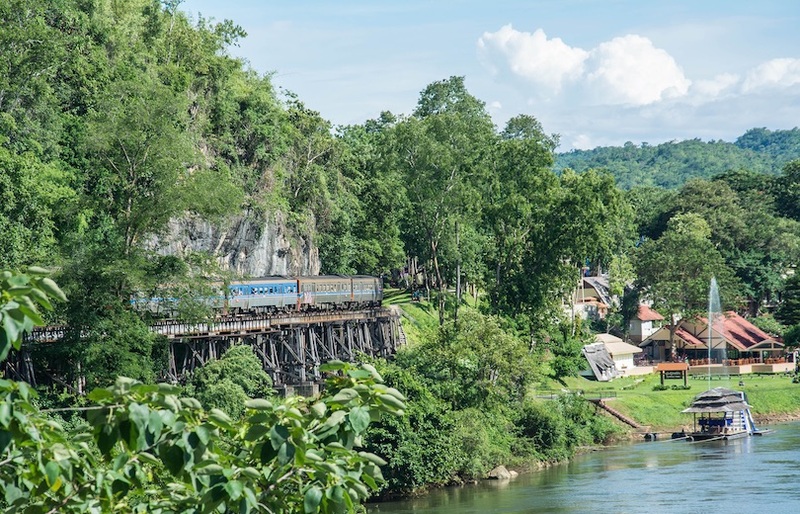 This is a historically significant destination, and while you’re there you can see the infamous bridge over the River Kwai and even walk across it. Other landmarks related to World War II include the JEATH War Museum, the Chongkai War Cemetery, the Thailand-Burma Railway Centre and the World War II Museum and Art Gallery. 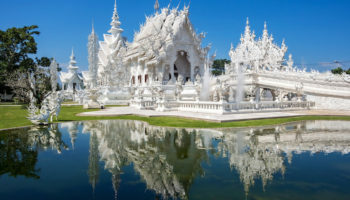 Kanchanaburi is also home to several traditional Thai temples that can be toured. 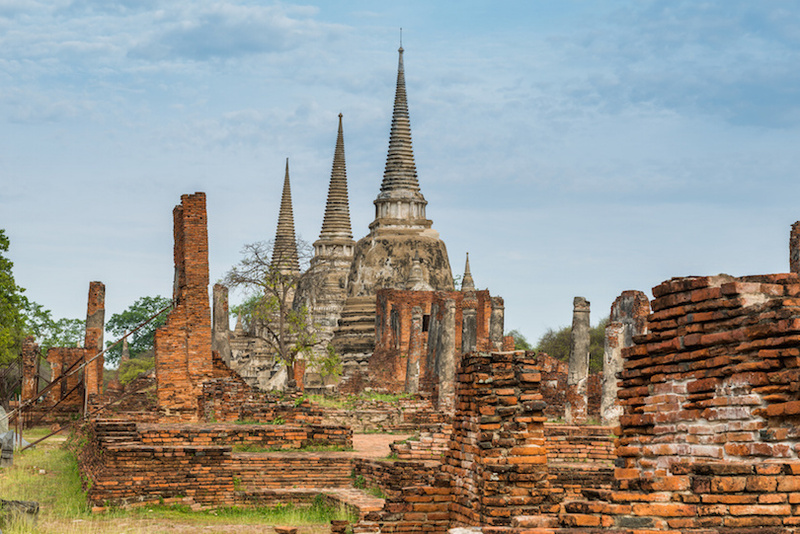 When Thailand was still known as Siam, the capital of it all was the city of Ayutthaya. Founded in the 14th century, this city is bursting with incredible architecture and historical attractions. 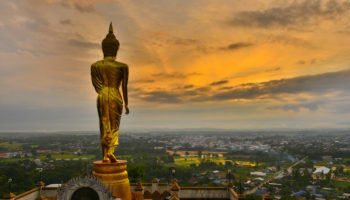 If you’re drawn to the older history of Thailand, this is a must-see city. Within the city walls, be sure to see temples like the Wat Phra Si Sanphet, the Wat Phra Mahathat, and the Wat Ratchaburana. 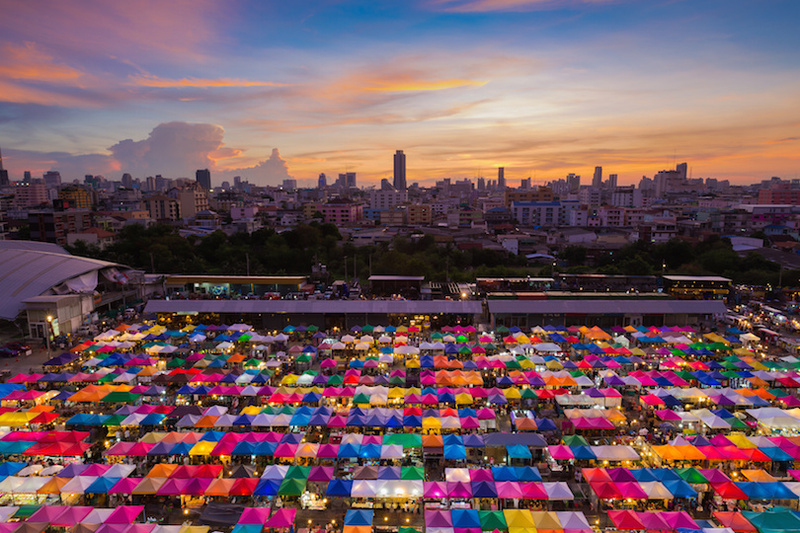 Also make time to check out the incredible 14th century Phet Fortress, the beautiful golden Phra Chedi Suriyothai and the bustling Chao Phrom Market offering fresh fruits and vegetables, traditional cuisine and bright fabrics. 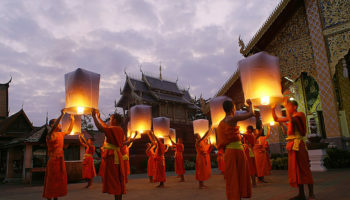 Bangkok may be the capital of Thailand, but Chiang Mai is the unofficial capital of Northern Thailand and of the Lanna people and their culture. Hop on a converted truck, called a songthaew, and head to the magnificent Wat Phrathat Doi Suthep, which dates back to the 14th century and provides spectacular views over the rest of the city. Next up, make your way to temples like the Wat Phra Singh or the Wat Chiang Man, which houses images of Buddha that are believed to be nearly 2,000 years old. Chiang Mai is known for its natural scenic beauty, so make time for the Queen Sirikit Botanical Garden as well as the Mae Sa Waterfall. 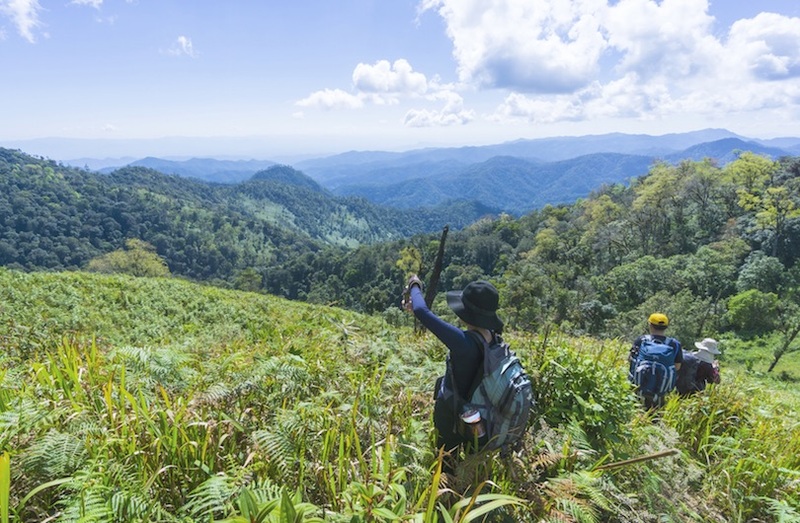 One of the most memorable experiences you can have during your 2 weeks in Thailand is going on a trekking expedition to meet the hill tribes found in the areas surrounding Chiang Mai. These expeditions typically only cater to small groups, and expert guides navigate and help you experience life just like a local member of a hill tribe. You might wade rivers, ride on rafts, learn to cook in the jungle or get to know members of a tribe, such as the Poe-Karen people that live near the Mao Hoo River. This is not a typical tourist experience, and it can be an amazing and eyeopening look into authentic Thai culture. After Chiang Mai there are 2 options. 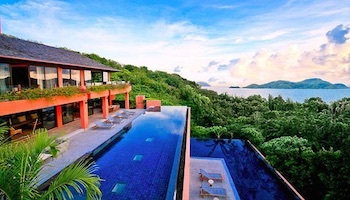 Either fly to Ko Samui and visit the islands on the east coast or fly to Krabi and visit the islands on the west coast. This will largely depend on the weather; the rainy off-season on the east coast is from November to February. The rainy season hits the west coast harder than anywhere else in Thailand and rainfall can already start in April and usually persists until October. 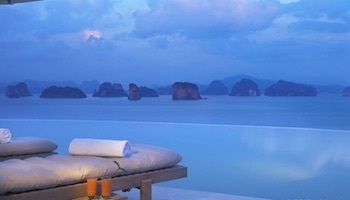 A great stop on the west coast is Railay, also known as Rai Leh. Stunning limestone formations are located along the water, making it a popular spot for photographers as well as rock climbers. Even if you’re not quite adventurous enough to try rock climbing yourself, keep an eye out for the experts showing off on the Thaiwand Wall formation. 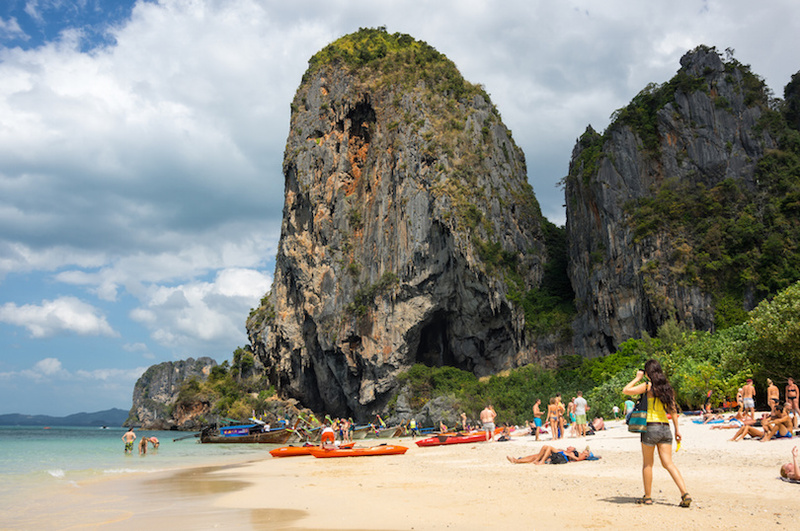 Outdoor exploration is a big part of Railay’s appeal, and you might want to plan a short visit to Phra Nang Cave, go swimming at Phra Nang Beach, go kayaking along the Rai Leh peninsula or even get certified as a scuba diver with classes right off the beach. Ko Phi Phi served as the backdrop for the popular film The Beach, but it has was known as Paradise Island long before the movie release. 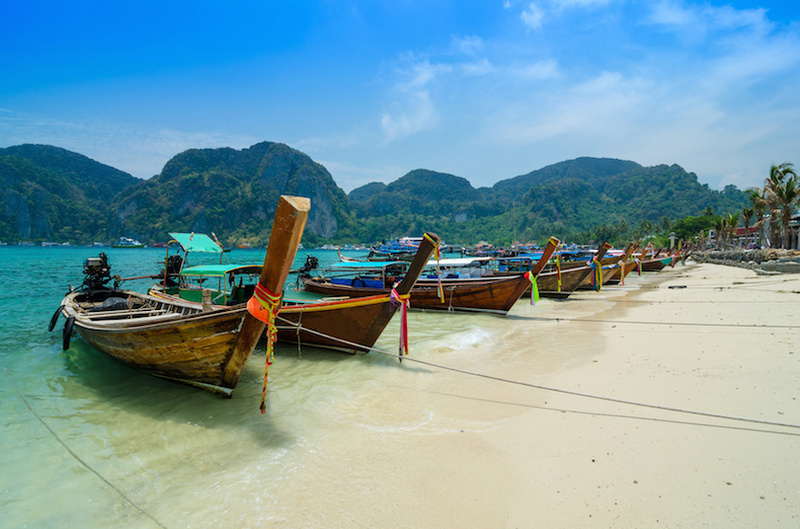 Ko Phi Phi is the ultimate spot for a relaxing beach destination, and the amazing scenery surrounds you from virtually any spot on the island. Of course, the main attraction is the beach, and you can expect plenty of tanning in the sunshine, swimming in the clear water and drinking until the early hours of the morning in local bars and clubs. You can also do some hiking up to the aptly named Viewpoint, which offers sweeping vistas over the coastline below. 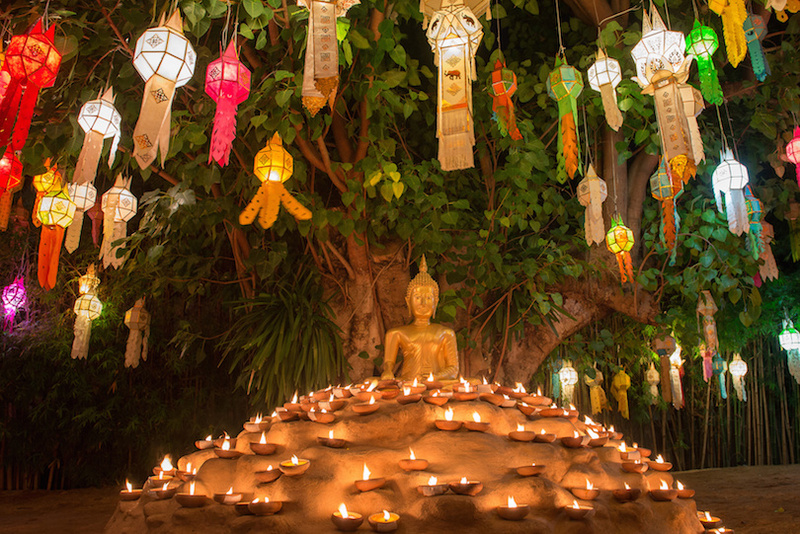 End your two weeks in Thailand back where you started: in Thailand’s incredible capital city. 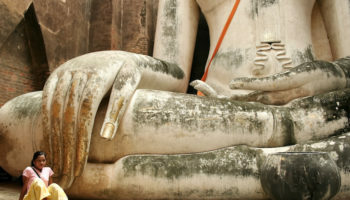 If you have had your share of temples by now, head instead to the Sunkhumvit district. Filled with expats, this is a more touristy part of the city, but it is home to a number of great attractions. Check out the exhibits at the Kamthieng House Museum, stroll through the scenic Benchasiri Park and then get a massage at one of the countless spas in the district. 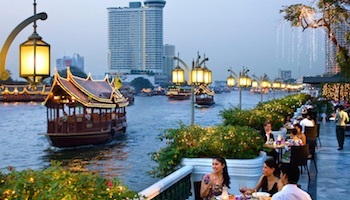 Round out your stay by visiting one of Bangkok’s many super hip restaurants and clubs. 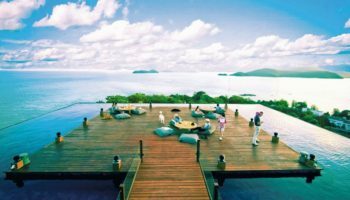 This itinerary offers 2 options after visiting Chiang Mai: Either fly to Ko Samui and visit the islands on the east coast or fly to Krabi and visit the islands on the west coast. This will largely depend on the weather; the rainy off-season on the east coast is from November to February. The rainy season hits the west coast harder than anywhere else in Thailand and rainfall can already start in April and usually persists until October. This itinerary sounds absolutely exhausting. You’re never in any place for even a couple of days, changing where you sleep every day, therefore never a day without lugging a bag. That doesn’t sound like a vacation to me, and most importantly it won’t really let you get a feel for any place, just perpetual motion. 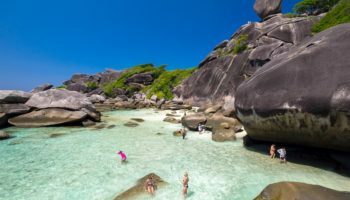 For two weeks, I’d pick maybe a couple of these destinations–definitely Bangkok, maybe something that’s close enough for day trips from there. And then ONE other location, maybe Chiang Mai.